Cumulative Indexes on one very long page! 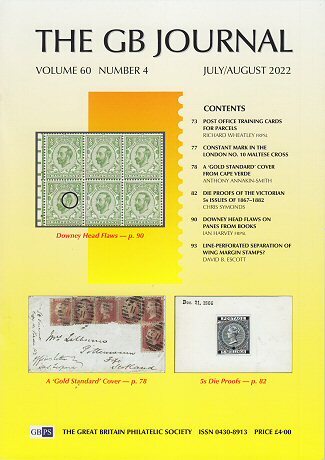 The GB Journal is the flagship magazine of the GBPS, with a deserved reputation for publishing original research and details of new discoveries on all aspects of Great Britain stamps and postal history. Articles are well-illustrated and make extensive use of full-colour printing. The editorial contents of some sample older issues are available to download in Adobe Acrobat PDF format.